There are many ways Virtual Reality (VR) is affecting, nay changing, the world we live in. For Instance, VR offers an intense, immersive and impressive experience which takes gaming to a whole new level of superiority. But teaching, surgery, space exploration, improving quality of life are all industries and issues improved upon when making use of VR. The mind boggles at the prospect. Also, and I’ll loosely use the term, ‘visiting’ places and exploration are now made possible with VR. If it’s conceivable to explore the world on Google Maps, imagine how much more riveting seeing the world with your own eyes would be…well sort of with your own eyes. Google is on a mission to bring experiences to the world by means of Virtual Reality. In the same vein the Lufthansa Group is on a mission to bring remarkable experiences to those individuals that make travel dreams a reality. Thinking and acting strategically in a highly competitive environment is the key to success in this day and age and Lufthansa has hit the mark, maybe the destination, with its summer campaign. The airline group identified the need to ‘talk’ to its biggest distribution channel – the travel industry – in a way that stands out from what its competitors currently have on offer. The brief, in short was to develop something fun and interactive for the group’s travel partners. Enter Artifact Advertising, who proposed a novel solution to the dilemma: A 360° app for travel agents that takes them around the world. By combining the use of Virtual Reality and Google Street View, users discover possible locations within the Lufthansa Group network. 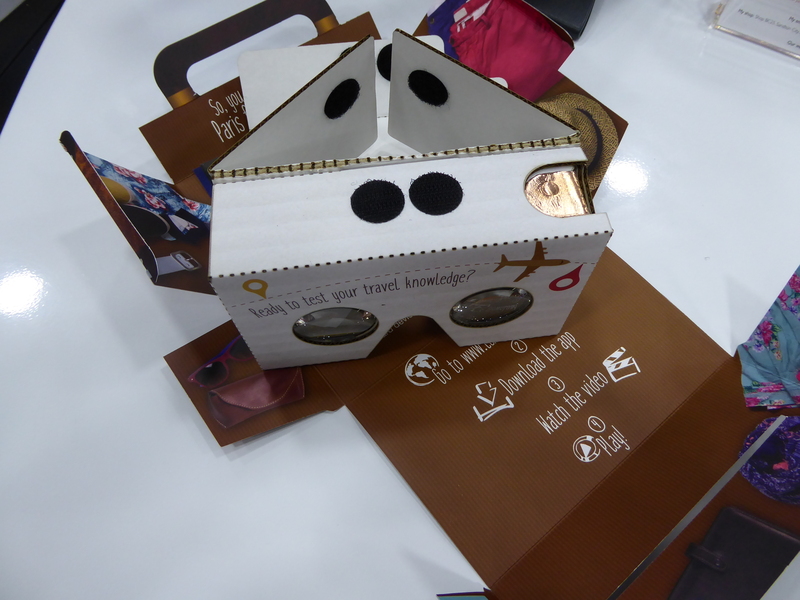 Cardboard literally puts virtual reality on your smartphone. The VR platform, developed by Google, is used with a head mount for a smartphone. Named after its fold-out cardboard viewer, the platform is intended to be a low-cost system to encourage interest and development in VR applications, which is exactly what’s happening in this case. “It also provides the same immersive experience as VR goggles, so it made sense for us to use it,” adds Simpson. The quiz-type game begins at a fairly easy level, in places like Paris, but progresses through several and increasingly difficult levels incorporating 60 destinations from the network of both airline brands operating out of South Africa; Lufthansa German Airlines and Swiss International Air Lines. When travel agents ‘land’ somewhere in the world using the app, there is a full 360° view of the surroundings, with landmarks that should tip them off as to where they might be. They then have to guess and continue the game from level to level. The game incentivises travel agents through free flights and other prizes and creates a scoreboard along the way to encourage competition among users. In an exceptionally competitive environment where costs are critical, it is no longer effective to stick to conventional ‘tried and tested’ advertising. The Guesstinations campaign pushes the boundaries of the industry and sets the Lufthansa Group and its airline brands apart as true innovators. Being transported from your desk to anywhere in the world, landing in a strange new city or town and having to identify your location by your immediate surroundings. Virtual Reality has made this possible and the Lufthansa Group was quick to see the potential for its new Summer campaign. Will this transition to the consumer? The truth is, I don’t know but it seems like a logical step. Imagine choosing a holiday destination: dipping your family into the location before making a final decision.